Day four of the $2 a day challenge. And this morning I got a surprise. I stepped on the scales, and discovered I was around 1kg lighter than when I weighed myself a week and a half ago. I guess there is an advantage of living on a reduced diet that excludes snack foods and has defined serves. I call it the starvation diet. Jokes about my weight-loss aside, it does make me realise what a challenge it would be to ensure a healthy, nutritious diet on a budget longer term. I mean you could live on instant noodles for a while, but you couldn’t survive on such a lack of protein forever. And most forms of protein are expensive. The other thing I am realising is that cooking from scratch is way cheaper than buying processed food. But it takes a lot more time, and that is a challenge when you are hungry. So you can cook innovative meals, but most nights you just want to grab something quick which is difficult on a frugal diet. Breakfast was, yet again, porridge. I thought about varying it but porridge keeps me full throughout the morning and enables me to think at work. Lunch was a thermos full of leftover soup and some sourdough bread. 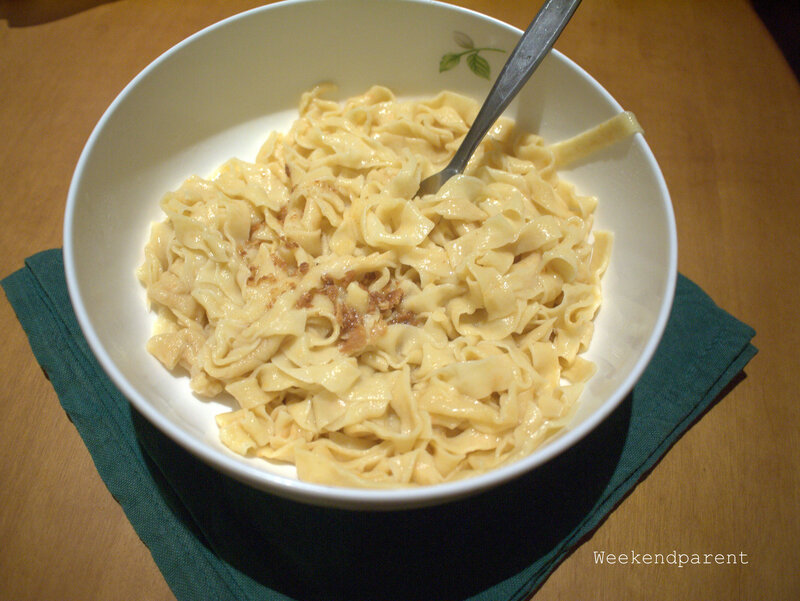 Dinner was home made carrot fettucine with butter and breadcrumb sauce (I saved breadcrumbs from when I cut my sour dough bread). Real cucina povera food. And delicious. I even felt full. Such a wonderful feeling. 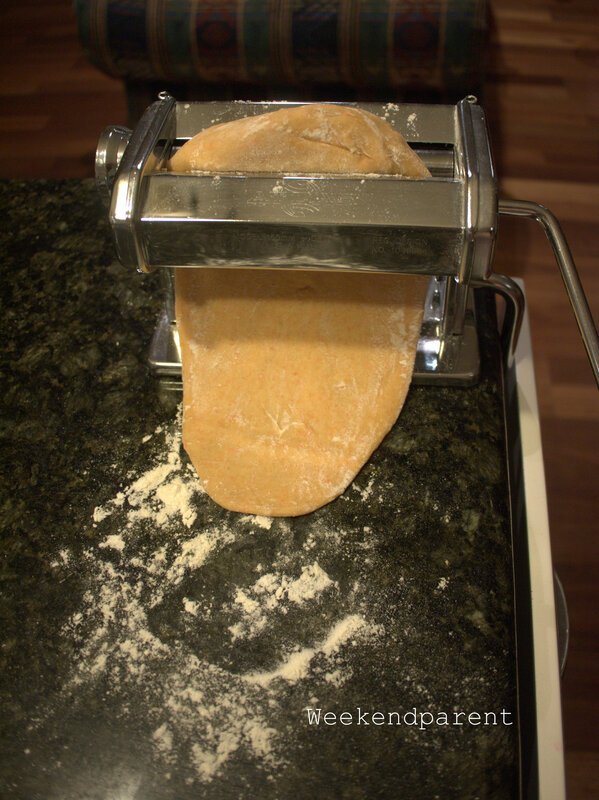 I made the pasta dough the night before, mixed in my breadmaker, and stored it in the fridge until needed. 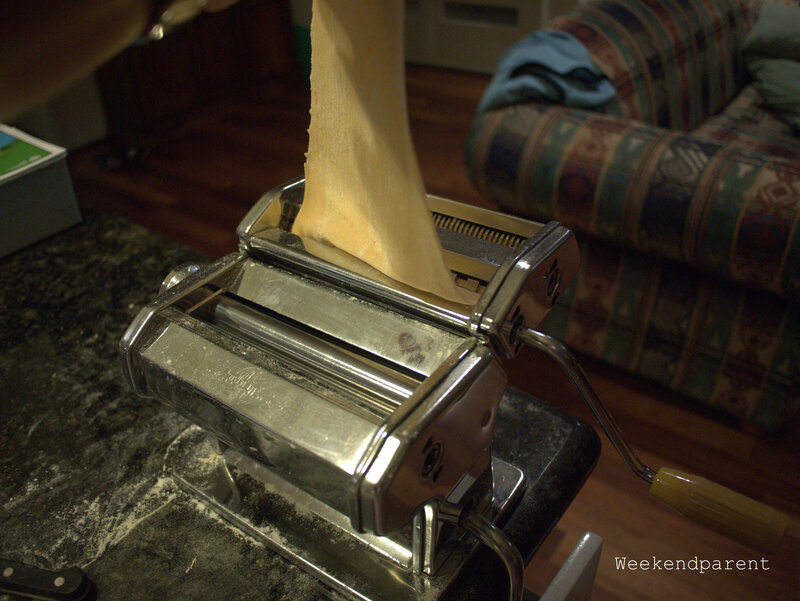 I dusted off my pasta maker that I haven’t used since before my kids were born, and got to making the pasta. It took a little while before I got back into the hang of it, and it was not a quick thing, but with some good music in the background it was quite meditative and fun. 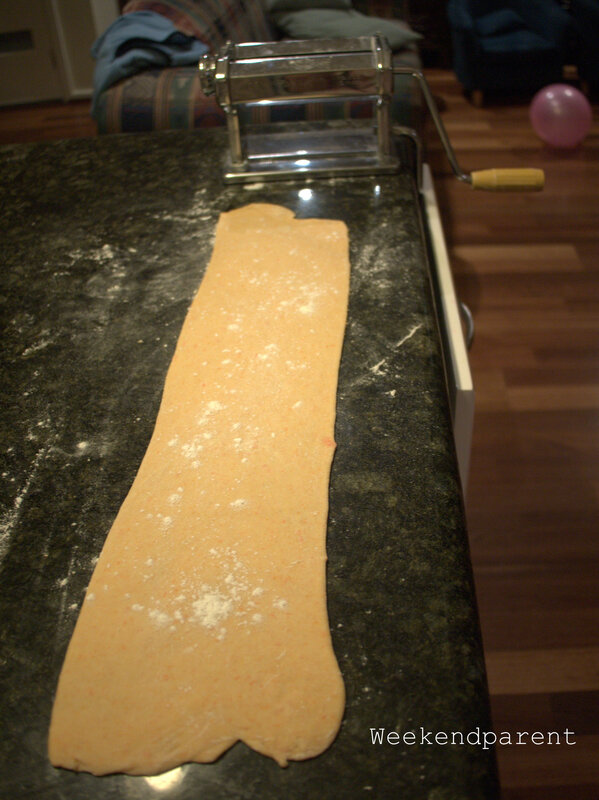 Since I used normal flour rather than a stronger flour, the dough was a little sticky but still workable. I cooked most of it straight away – for dinner and for lunch the next day – but there was two sheets that I saved for leftovers. 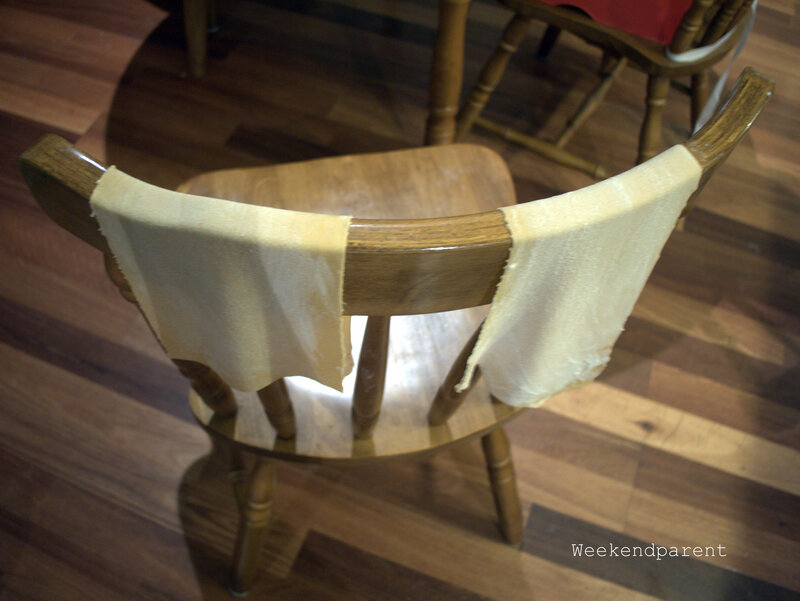 I hung these off the back of a chair for half an hour or so to dry a bit, and as I type they are drying in the kitchen so that I can store them okay overnight. 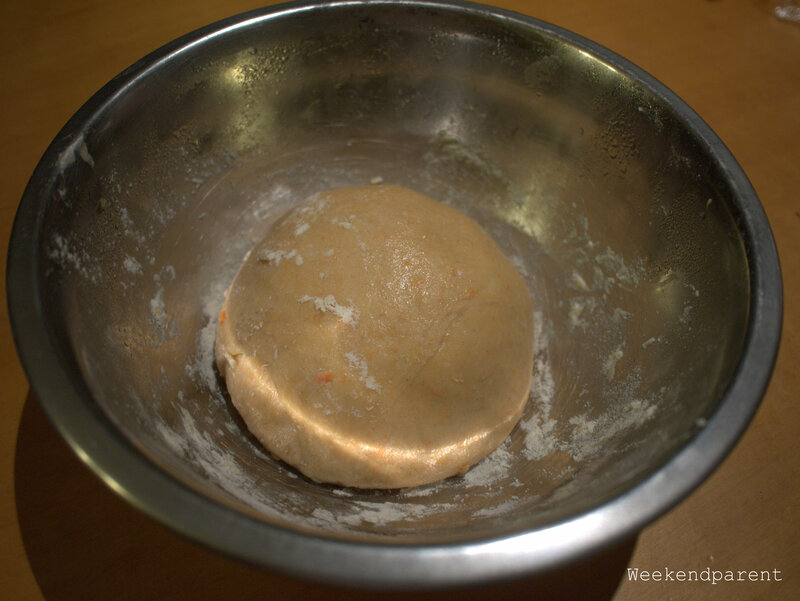 Combine the carrots, eggs and flour in a breadmaker (or alternatively knead for around 15 minutes by hand). 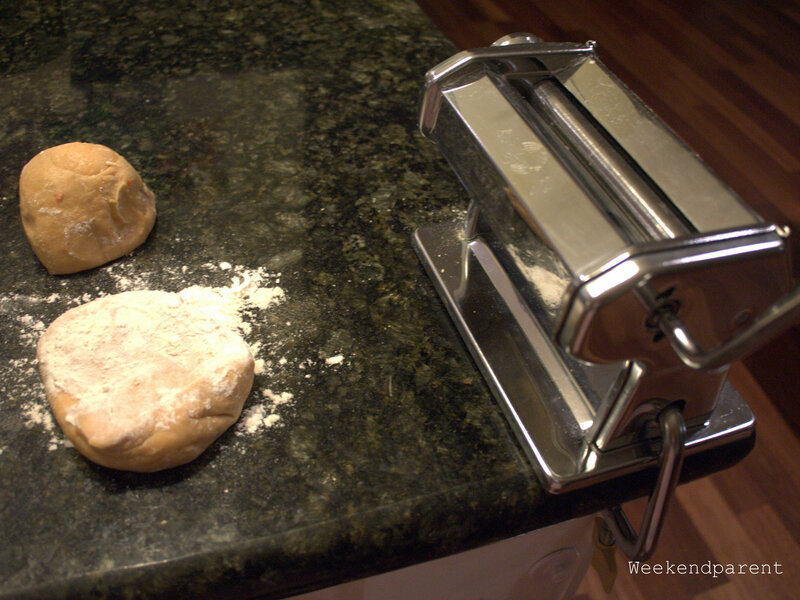 Place in a bowl and sprinkle with sufficient flour that the dough will not stick. 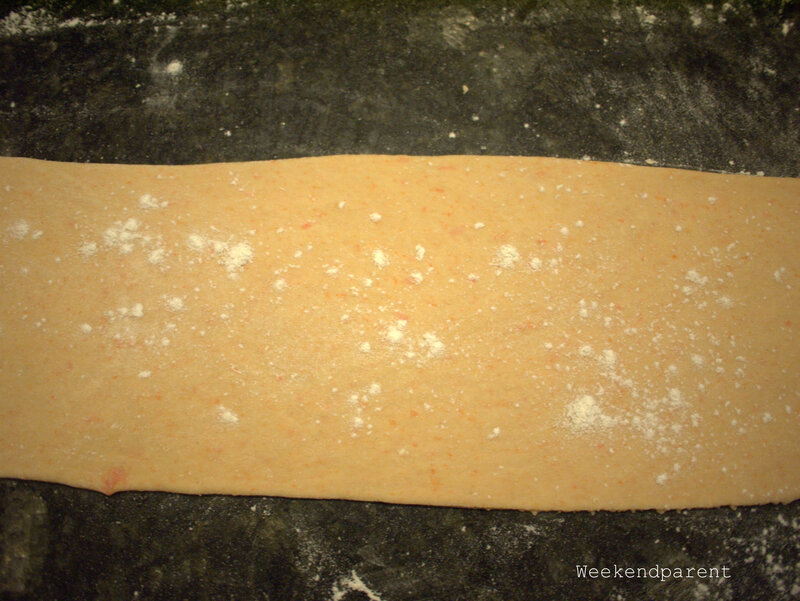 Cover with clingwrap and rest for at least 1 to 2 hours. Overnight is fine. 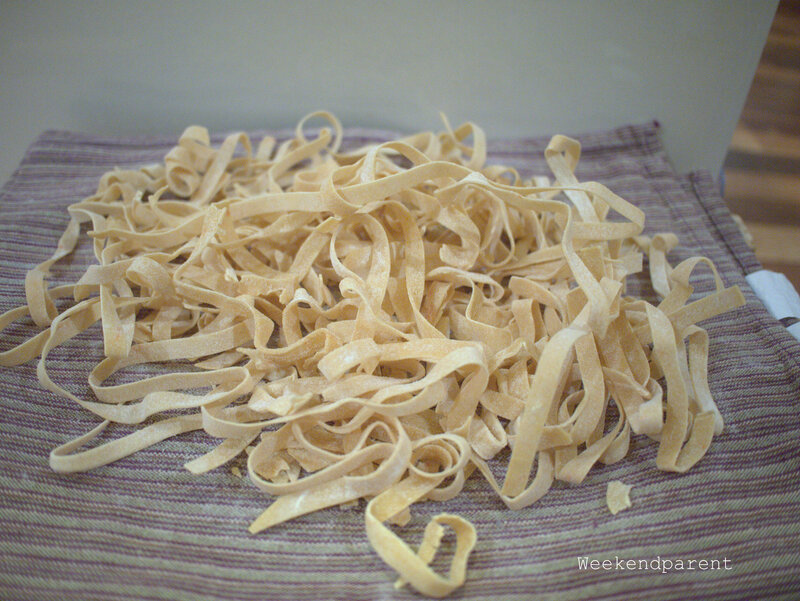 Using a pasta maker, roll out the dough thinly and then cut into fettucine strips. Cook in boiling water (no salt on my $2/day menu) for a few minutes. 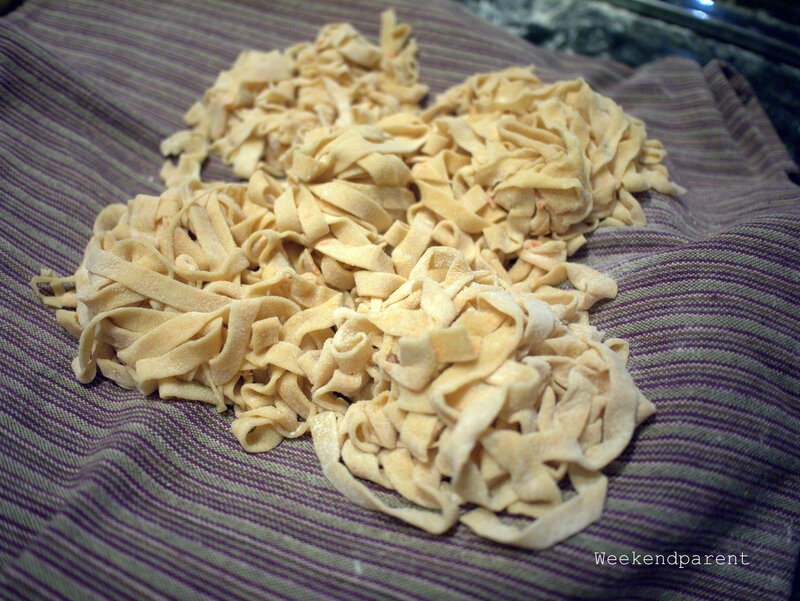 Melt the butter and breadcrumbs and pour over the fettucine. I ate the last of my bread today, and my last apple for a snack in the afternoon. I still have one day to go, and will definitely have surplus food but the choice is limited: I have flour, oats, butter, sugar and some broccoli. And some leftover soup and fettucine. I was planning to make pancakes, but I might eat leftovers for the evening meal instead. So one day to go, and I know I can do it.